According to Automotive News, leaked company documents have reveled that production of the 2014 Chrysler 200 will begin in July at Chrysler’s Sterling Heights Assembly Plant near Detroit and production of the 2014 model year 200 will end on the second week of January 2014 – a period that is significantly shorter than the normal length of a production period. 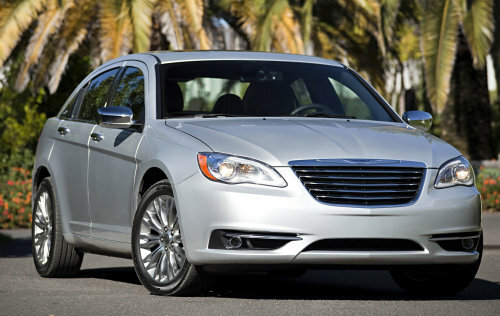 While the debut of the next generation Chrysler 200 has not been confirmed, the fact that the 2014 model year 200 is slated to end so early in its production run is most likely due to the company’s need to prepare the Sterling Heights plant to build the next generation Chrysler 200. This is a similar situation to the Jeep Grand Cherokee – which saw a shortened 2013 production period due to the launch of the redesigned 2014 Grand Cherokee. This news supports 2013 updated company business plan that was introduced in January, showing that there was a refreshed model set to arrive in the Chrysler brand portfolio in 2014. At the time, we guessed that the refreshed 2014 Chrysler Group vehicle would be the next generation Chrysler 200 and this new bit of information suggests that our original assumption was correct. The Chrysler 200 is currently one of the company’s bestselling vehicles so building on the more popular selling points of the current generation 200 in designing the next generation midsized luxury sedan could help boost the already high sales figures. As is generally the case, Chrysler is not commenting on future product plans but the timing of the 2015 Chrysler 200 debut would work well with the 2014 200 ending production in January 2014. Considering that the Chrysler 200 is made just outside of Detroit (yet still in the Metro Detroit area) and the company’s “Made in Detroit” advertising push, we would guess that the next generation 200 would debut in mid January at Detroit’s 2014 North American International Auto Show. Should the company debut the 2015 Chrysler 200 in Detroit next year, that would be right around the same time that the Sterling Heights plant is ending production of the 2014 200. Considering how long it takes for a plant to set up a production line for a new model, the company could debut the 2015 Chrysler 200 at the Detroit Auto Show in early January with production beginning shortly after the show comes to an end. It is unclear whether or not the Dodge Avenger will also see its 2014 model year production run ended but the odds seem good, considering that the Avenger is built alongside the 200 in Sterling Heights. Rumors have long suggested that the Dodge Avenger would not be continuing on as the company works to remove redundancies between the brands. While the Avenger takes a much sportier approach to the midsized sedan class than the luxury trim Chrysler 200, the two vehicles are more or less identical and that has led many to expect that the Avenger would not continue on after the end of this generation. It should be noted that the 2013 Chrysler business plan update did show that there were two refreshed vehicles set for a 2014 debut. We guessed that one would be a new Dodge Charger and perhaps the company will continue on with the Avenger – debuting the new model along with the new luxury line Chrysler 200.